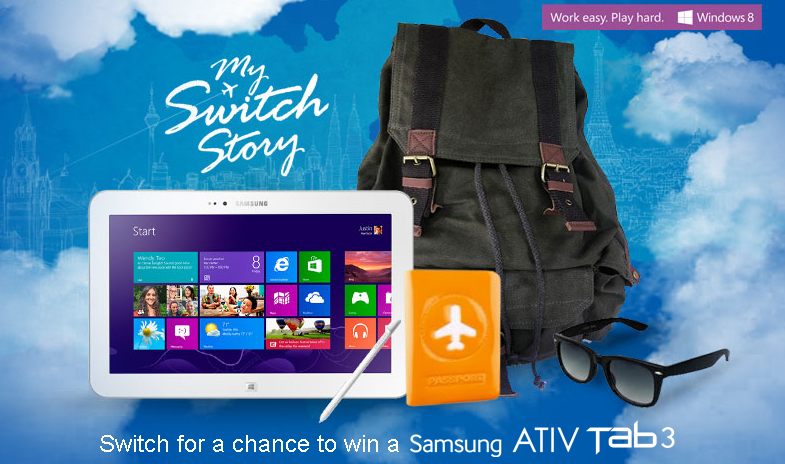 Win a Samsung ATIV Tab 3 by switching – Samsung Malaysia. Interested in winning a ATIV Tab 3 from Samsung Malaysia? Find out more by heading over to Samsung Malaysia Campaign and join the switching race! Next ArticleSwitch Tour 2013 is back with Switch99. Unboxing Samsung Galaxy Tab S 8.4. Samsung Galaxy S6 and Galaxy S6 Edge is now in Malaysia. Yay or Nay?